Mel Giedroyc will join the cast of the new production of Company, Stephen Sondheim and George Furth’s award-winning musical, directed by Marianne Elliott at the Gielgud Theatre from 26 September 2018 for a limited run. Mel Giedroyc will play Sarah, joining Rosalie Craig as Bobbi, a role re-imagined for the first time as a woman, and Broadway star Patti LuPone as Joanne. 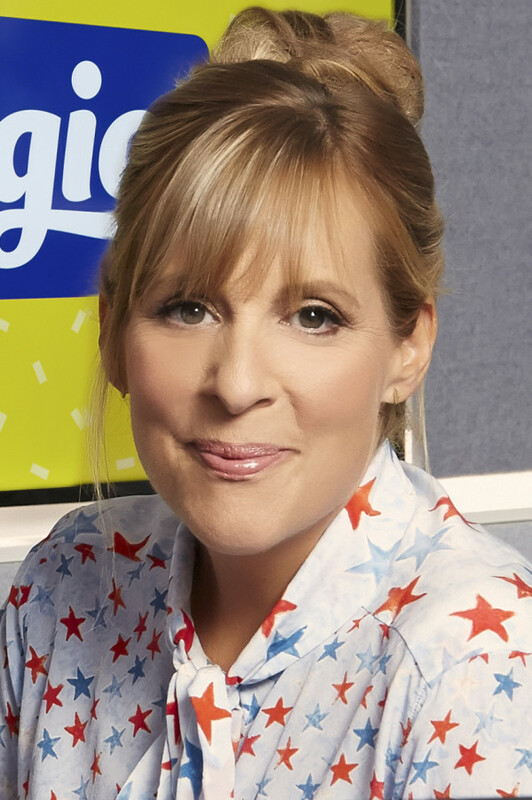 Mel Giedroyc recently co-presented The Great British Bake Off for the BBC alongside her long-time comic partner Sue Perkins, co-presented Let It Shine with Graham Norton and Gary Barlow and commentates for the BBC at Eurovision. Other TV credits include: The Sound of Music Live, Would I Lie to You?, Big Fat Quiz of the Year, 8 Out of 10 Cats and Richard Ayaode’s Travel Man. Mel will soon be playing Beatrice in Shakespeare’s Much Ado about Nothing at the Rose Theatre, Kingston. Other theatre credits include: Luce at Southwark Playhouse, The Rocky Horror Picture Show (Playhouse), Eurobeat (Novello), and New Boys. Rosalie Craig is currently performing in Jez Butterworth’s award-winning play, The Ferryman at the Gielgud Theatre. Other theatre credits include: Marianne Elliott’s production of The Light Princess, for which she won the Evening Standard Award for Best Actress in a Musical and was nominated for an Olivier Award, Rosalind in As You Like It, The Threepenny Opera and London Road – all for the National Theatre. Other theatre includes: City of Angels for the Donmar, Lady Macduff in Macbeth for Manchester International Festival, directed by Kenneth Branagh, Sylvia in the musical Finding Neverland and the title role in Miss Julie at Chichester Festival Theatre. Her film and TV credits include: London Road, Spooks, and Casanova. Patti LuPone, who this week performed Don’t Cry for me Argentina at the Grammy’s returns to London to make her first appearance in a West End musical for over 25 years with this production of Company. Her previous London theatre credits include originating the role of Fantine in Les Misérables, an Olivier-award winning role in The Cradle will Rock and creating the role of Norma Desmond in Sunset Boulevard. Her numerous Broadway credits include: originating the role of Eva Peron in Evita, Gypsy, Sweeney Todd, Anything Goes, and Master Class. Her many films include: Heist, Driving Miss Daisy and Witness. TV includes: American Horror Story, Glee, Ugly Betty, Will & Grace (as herself), Frasier (1998 Emmy nomination) and Law & Order. LuPone, who is a graduate of the first class of the Drama Division of New York’s Juilliard School and a founding member of John Houseman’s The Acting Company, is the author of the The New York Times bestseller Patti LuPone: A Memoir. At Bobbi’s 35th birthday party all her friends are wondering why she isn’t married; why she can’t find the right man and why she hasn’t settled down to have a family. The multi-award winning musical comedy about life, love and marriage includes Stephen Sondheim’s iconic songs, The Ladies who Lunch, Being Alive and Side by Side. Marianne Elliott, is Artistic Director of Elliott & Harper Productions, a company she founded with producer Chris Harper. Elliott is the first woman in Broadway history to win two Tony Awards for Best Director and is currently directing the Broadway transfer of Tony Kushner’s Angels in America. Marianne’s ground-breaking production of The Curious Incident of the Dog in the Night-Time received 7 Olivier Awards in London, including Best New Play and Best Director and 5 Tony Awards, including Best Play and Best Director for its run on Broadway. Her production of Saint Joan earned her the Olivier Award for Best Revival and Pillars of the Community earned her the Evening Standard Award for Best Director. War Horse, which she co-directed, and has been seen by over 7 million people world-wide, and is on its second UK tour. Joining Marianne Elliott on the creative team for Company are: designer Bunny Christie, musical director Joel Fram and choreographer Liam Steel. Further casting will be announced.